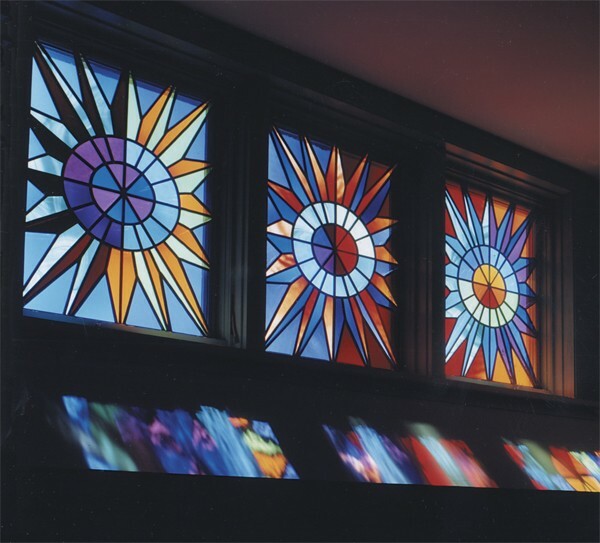 For St. Ann’s Catholic Intergenerational Center in Milwaukee, Wisconsin, Conrad Schmitt Studios was asked to fabricate and install a 19′ x 26′ set of new contemporary design stained glass windows by Sister Thomasita Fessler. 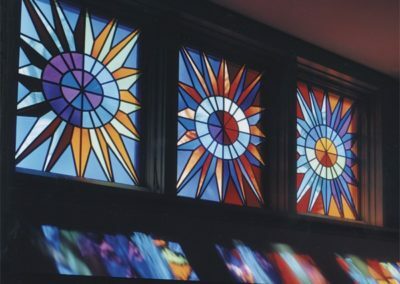 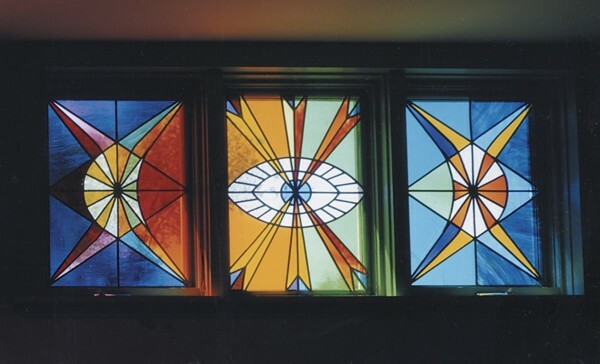 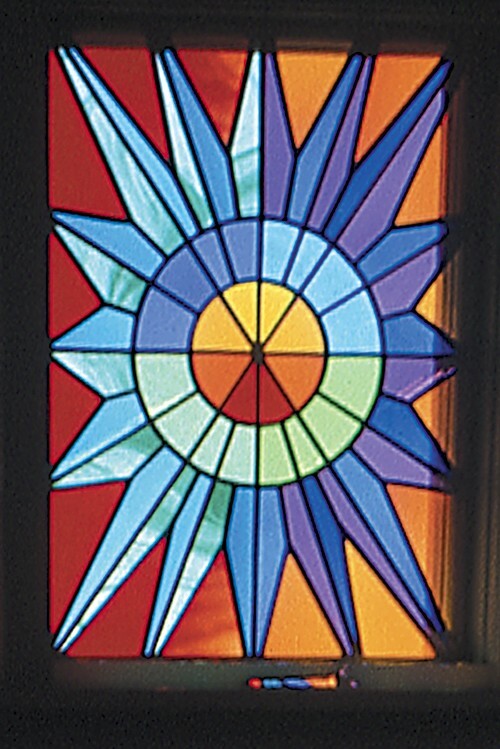 Conrad Schmitt Studios worked hand in hand with Sister Thomasita, creating patterns or “cartoons” for her designs, and then translating them and fabricating them into beautiful stained glass windows. 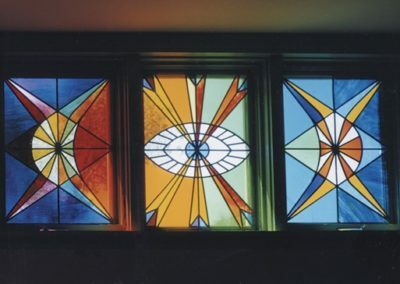 Precise color choices and meticulous craftsmanship make these windows intense, dramatic and enduring.